So again, what’s the meaning of a retweet? 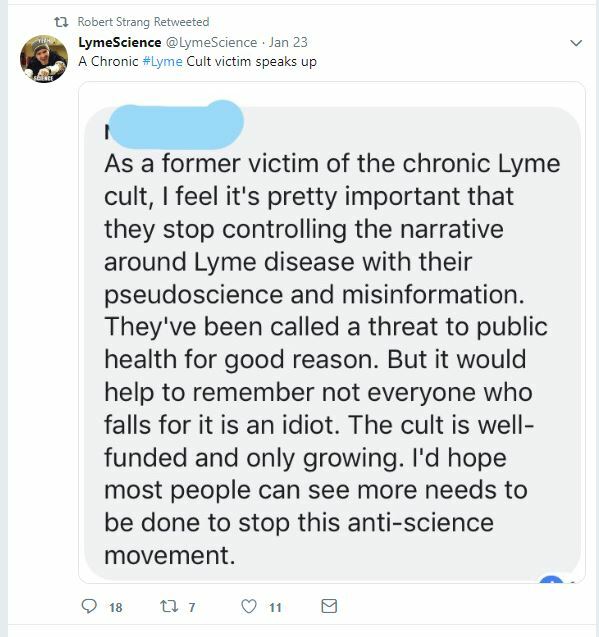 It sure sounds like Strang is championing the bafflling and obnoxious rhetoric of the LymeScience website. Like he’s giving the back of his hand (or is that the middle finger?) to Nova Scotians who suffer from Lyme disease–and are therefore being kicked to the curb by health officials who refuse to give proper due to the illness that has befallen them.